First Base. Ahhhh yes, First Base. My favorite position in fantasy baseball. It's the beginning of everything. First Base is where it all starts... in both fantasy, and real life ;-). First Base is where your fantasy team and fantasy championship begins. This is where the biggest, baddest sluggers in baseball usually play. This is the position where year after year you find guys slugging HR and RBI like animals. If you don't have a bona fide slugging 1B that will put up 25-30 HR and at least 85-90 RBI, then you really have no chance at winning your league. Make sure you get a first baseman with big-time power. Now, here's the thing with First Base. It is always fairly deep, and there are always tons of guys that are 1B eligible that can hit you 25-30 HR. Think Chris Davis in 2012, a guy that probably wasn't drafted in standard leagues but ended up the season swatting 33 bombs. You can always find good, cheap power at the 1B position. That said, I'm not necessarily recommending that you stick with a "cheaper" guy as your 1B starter all year. But those types of guys are great for UTIL slots, bench stashes, and late draft fliers with upside. If you don't know who to take at the end of your draft, take some extra 1B guys since they probably have the potential to do the most damage. 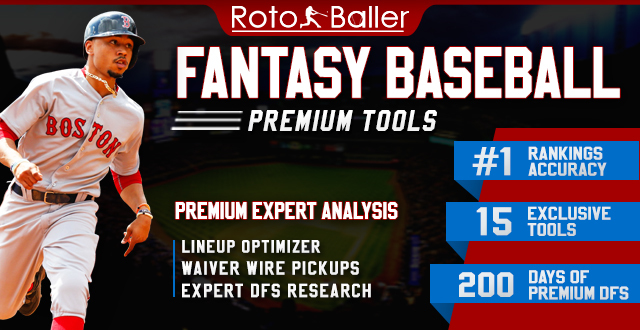 Tier 1: Pujols is a machine, and will put up another monster year. But if you can't stomach a slow start to the season then I can't blame you for passing. I'm going Prince over Votto, although Votto has more upside. Here's the thing though: Prince never misses a game. Both will be big-time studs as long as they're healthy. Tier 2: If Edwin does it again this year he'll be the #1 ranked 1B next year-- crazy upside in that lineup. Posey really isn't a 1B and should be drafted as a C, but his MVP numbers are legit. Some may think Adrian Gonzalez (ADP ~33) is ranked a bit high considering his decline in power, but I'm expecting a big bounce back year-- he's back in the familiar NL West in a dynamite offense. We're looking for .300, 20+ HR, 100 RBI, with upside for a lot more. Butler is a BA machine, and could find himself in Tier 1 next year if his production remains consistent and his power continues to develop. Konerko is the ageless wonder, and his AVG / HR / RBI upside provides the best value in this tier with an ADP ~80. Other than Konerko, none of the guys in this tier provide huge draft-day bargains. Tier 3: A lot of "experts" are down on Teixeira in '13, but I'm expecting a big year. He's still in Yankee stadium, with a short porch, in one of baseball's top-five lineups. Allen Craig is a fantasy dream... if he can finally stay healthy-- he has all the upside in the world, but just never puts in a full season. 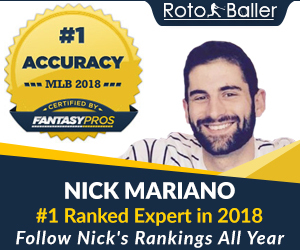 Ryan Howard's K-rate was worrisome last year, and it may seem controversial to rank him this high, but a healthy and productive Howard has a chance to provide fantasy riches for your team. He still has the ability to put up some of the biggest power numbers in the game. 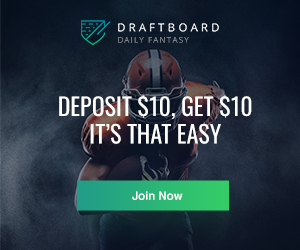 Howard could go off the board anywhere from Rounds 6-9, potentially providing a substantial profit on draft day. Ike Davis is one of the guys I like best in this tier, especially at his draft-day bargain price. He's coming into the year healthy and past his "Valley Fever." He has a full year to show everyone how great he can be-- the guy put up 20 HR / 41 RBI in 2012 after the All-Star break in only 251 at bats... on a horrible team! Tier 4: This is my "I have a ton of power but usually hit for a low AVG tier." Dunn hit 41 HR last year, Trumbo has gone 29 HR / 87+ RBI for 2 years straight and is in arguably the best lineup in baseball. LaRoche is Mr. Consistency, almost always going for around 25-30 HR / 85-90+ RBI. Freeman and Goldschmidt are the exceptions here, as both have the ability to hit for higher AVG but not as many HR. Freeman should be healthier this year, and has a good chance to break out in a big way; if he falls to the 7th round, pounce! But I'm not sold on Goldschmidt, and his current ADP is way too high. He has a lot of talent, but pitchers will adjust in his sophomore season and he will regress-- think Eric Hosmer in 2012. You can read RotoBaller's deeper analysis on Paul Goldschmidt and what to expect from him this year. Of these guys, Dunn and Laroche are positioned to give you the best draft-day value. Tier 5: This is my "I have a lot of potential and upside" tier. These guys are mostly being undervalued or overlooked, for various reasons. But this is where I'm going to be looking in the middle to late rounds of the draft to stock up on potential under-the-radar studs. If you stash a couple of these guys and they put up big seasons, it can help win you a league. Morneau, Berkman, Hart (if healthy) and Kendrys could provide nice returns on their current ADPs. 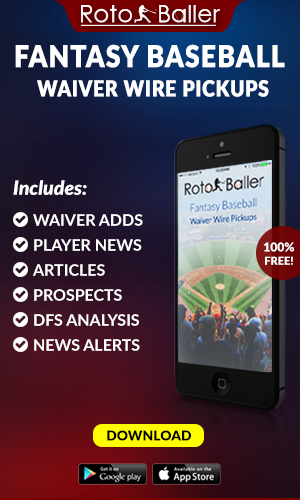 You can also read RotoBaller's deeper analysis on Justin Morneau for more on what to expect from him this year. Tier 6: This is my "I also have some upside but not as much as Tier 5" tier. Once again these guys can be later-round draft steals. Keep on eye on Todd Frazier's spring: if he's raking, then try and snag him on draft day. 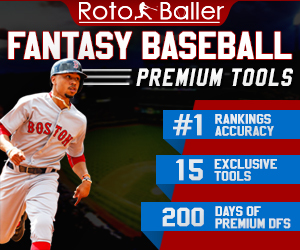 You can also read RotoBaller's deeper analysis on Todd Frazier and what to expect from him this year. Also keep an eye on Moreland: if he has a full time job all to himself, he can thrive this year in Texas. Tier 7: I'm not in love with anyone here, and most of these guys will probably be on waiver wires to start the league in standard 10-12 team mixed leagues. But keep an eye on Chris Carter with a full time gig-- he showed some nice promise down the stretch last year. And Adam Lind always has the potential and slight chance to come closer to his 2009 where he slugged .305 / 35 HR / 119 RBI. UPDATE 3/7/2013: Due to injury, Mark Teixeira will miss at least a month of the regular season. Consequently, you've got to revise downward any projections for his 2013 production to the tune of over 15%. In our estimation, this drops T-Rex down to the top of the fifth tier, where he can commiserate with fellow DL-bound 1B Corey Hart. 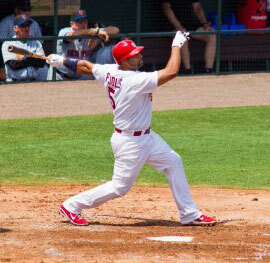 UPDATE 3/17/2013: Teixeira's injury is worse than originally expected, and he will be out until June at the earliest now. We've dropped him further in our rankings and he should only be drafted in the mid-late rounds of a draft at this point.